While it’s just the beginning of August, you’re probably already getting ready to go back to school. School seems to be starting earlier and earlier, which means you’re probably feeling a little frazzled when it comes to making sure your child has everything he or she needs as well as figuring out what they’ll be doing after school. It’s completely understandable since the school year seems to have crept upon us. One way that you can take a little off of your plate is by enrolling your child in Hot Ground Gym® in Vernon Hills. Hot Ground Gym has a variety of programs that will help with child development for the body and the mind. 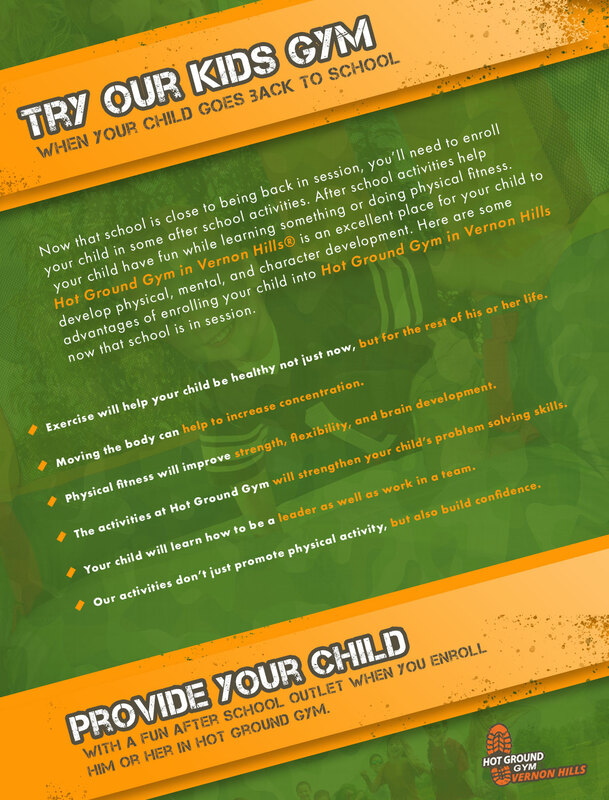 For more information on how Hot Ground Gym in Vernon Hills is the right choice for your child, contact us. This fall take the time to enroll your child into our after school program. We have a variety of programs, but the one that’s available for your child is the Junior Boots™ program. Junior Boots™ is a program that will help not just develop the body, but also the mind. This program is one of our most popular because of what it teaches kids and how much fun it is. As a kid gym, we strive to be different than many of the other options out there and we’re proud to tell you that we succeed. This program has three different companies and each one is targeted to a different age group. Our program was created to encourage kids to love fitness, but also build skills they can take with them for the rest of their life. 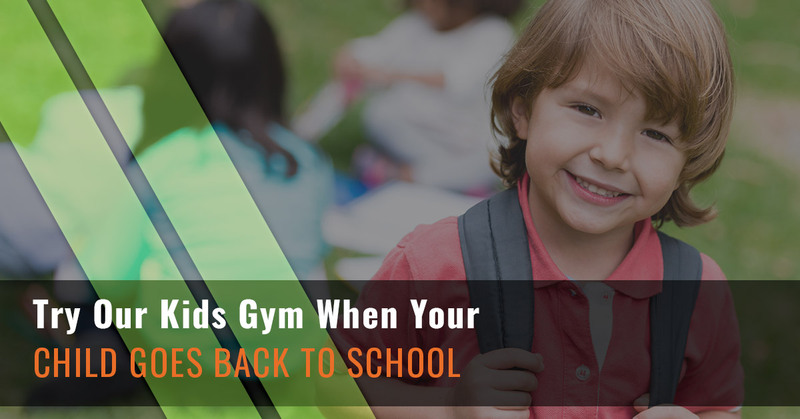 With your child back to school, you’ll want to find things that will provide them with physical activity. After all, only getting less than an hour of gym and recess isn’t enough to provide your child with an opportunity to blow off some steam. By enrolling your child into our Vernon Hills location, your child will learn as well as work off that excess energy. Going to our after school programs will create confidence in your child as well as engage him or her in physical fitness activities. Our kids gym helps to develop leadership and teamwork skills that can be carried over into school as well as behind. We also offer summer and winter camps for those kids who love coming to our after school activities. Additionally, you can come celebrate your birthday at Hot Ground Gym in Vernon Hills. Strengthen your child’s future by enrolling them in an after school program that will help them flourish. Fitness can be just as important as sitting in a classroom and learning. Fitness helps to show your child that he or she can do it. It shows they have the drive and the discipline to complete that project or the leadership to help their fellow classmates. This fall take advantage of our after school programs.